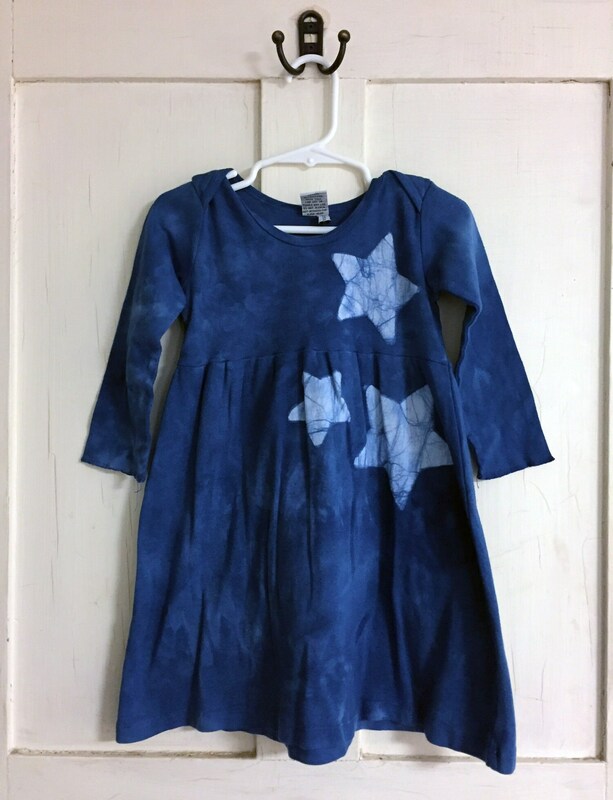 A cluster of stars twinkles on a dark blue field on this soft little girls long-sleeve dress. 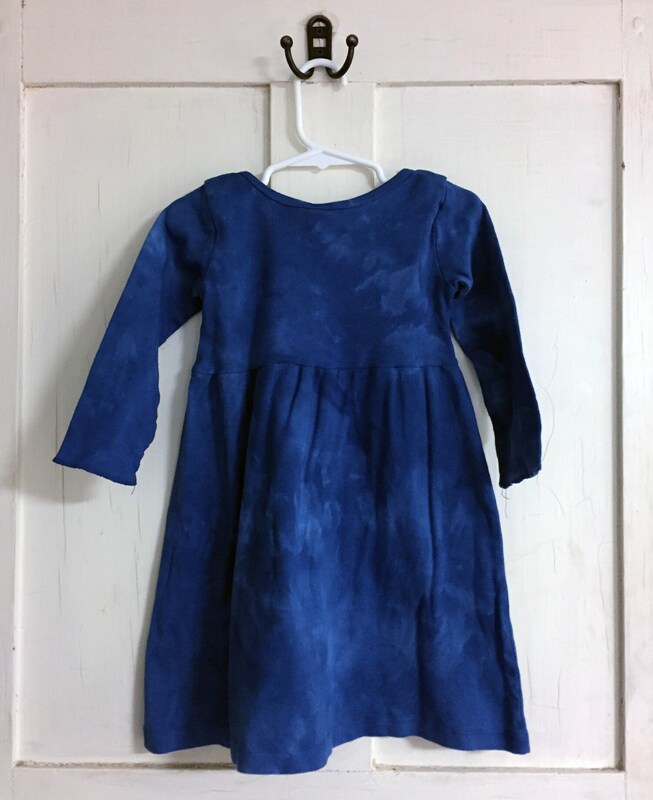 I stenciled on the stars before dyeing the dress cobalt blue. 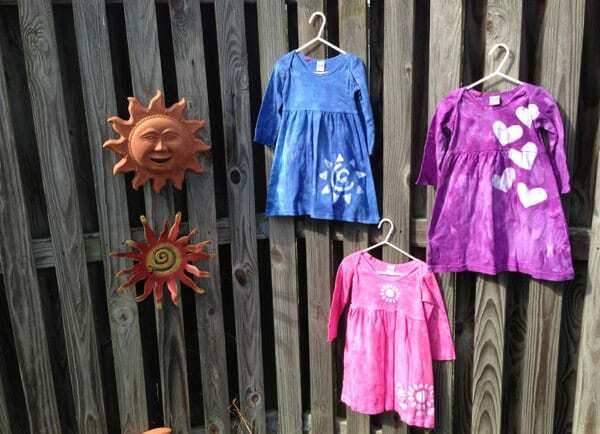 This is a size 2T long-sleeve girls dress. 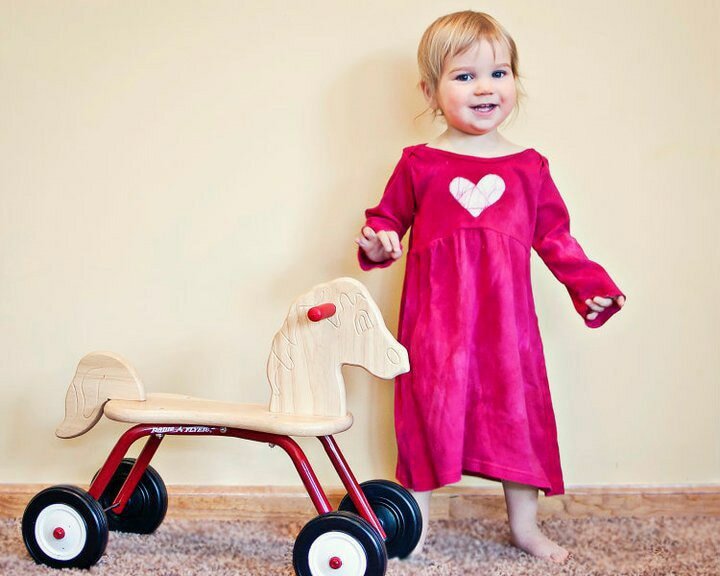 The dress is made of soft 100 percent cotton and has lap shoulders for easy dressing. 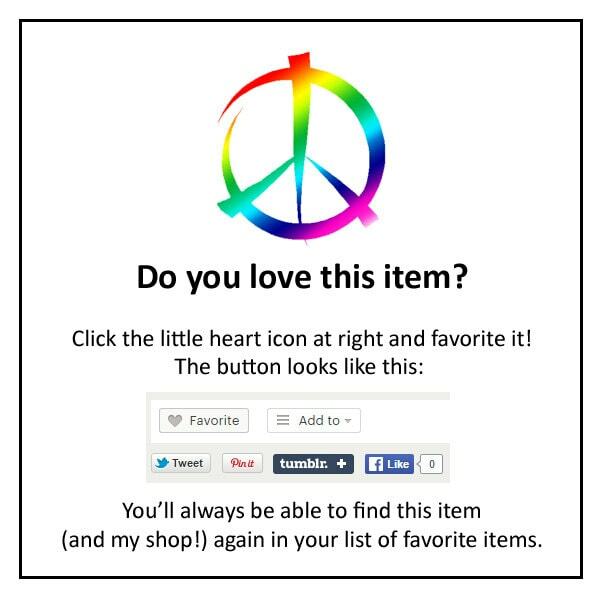 Pair with leggings or tights for those chilly days when she just has to wear a dress!